It seems like nowadays everyone is eating a certain way or living a certain lifestyle: Gluten-Free, Keto, Low-Carb, Low-FODMAP, Paleo, Pegan, Plant-Based, Plant-Based Keto, Vegan, Whole30. Don’t have time to keep up? Don’t worry about deciphering these diets, instead, check out our breakdown of all the top trendy diets. Gluten is a protein that acts as a binder that provides elasticity to doughs like bread and pasta. Found in many grains, gluten is present in wheat by-products like barley, rye and wheat barley. Individuals who suffer from Celiac disease or experience gluten-sensitivities need to avoid gluten, but many people notice they simply feel better when they go gluten-free. Some of the most popular gluten-free grains are amaranth, buckwheat and corn. The Ketogenic Diet, more commonly referred to as the Keto Diet, consists of eating a diet high in high quality fats, moderate protein and low carbohydrates. 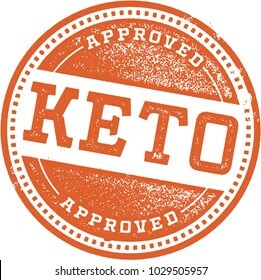 Some common Keto fat sources are fruits like avocado and coconut, quality oils like coconut oil and extra virgin olive oil, pasture-raised eggs, raw nuts and seeds and wild-caught fish. By decreasing carbohydrates and increasing fats, the body begins to use fat as its main fuel source. When this happens, the body enters a state of ketosis, hence the Keto Diet. The Paleo Diet was inspired by the diet cavemen consumed during the Paleolithic era. The Paleo Diet consists of eating fresh foods like high quality meats, nuts, seasonal fruits and vegetables, seeds and wild-caught seafood while avoiding other foods like alcohol, dairy, grains, legumes, processed foods, starches and sugars. The Paleo Diet encourages people to make a shift towards foods that our bodies were designed to consume. Plants contain phytonutrients and generally just taste delicious, so it’s no wonder why the plant-based trend is gaining popularity. It was even a main trend at this year’s Expo West. A plant-based diet is all about consuming fruits, legumes, vegetables and whole grains. Animals and animal products can be consumed on a plant-based diet, but only in small amounts if at all. Veganism is a way of living that excludes all forms of animal cruelty or exploitation, which includes bath and body products, clothing and food. Individuals choose to follow a Vegan Diet for various reasons including environmental concerns, ethics or general health. For these reasons, Vegans avoid all animal products including animal fats, eggs, dairy products, meat and other animal by products including foods like honey. When it comes to choosing which diet and lifestyle is best for you, we believe strongly in bio individuality. Everybody and every body is different so what works well for you, may not work well for others, which is why it’s important to listen to your body and make any dietary decisions based on what works best for you. Do you have a favorite diet trend? Show us which diet and lifestyle you prefer by tagging us @SimpleMills.